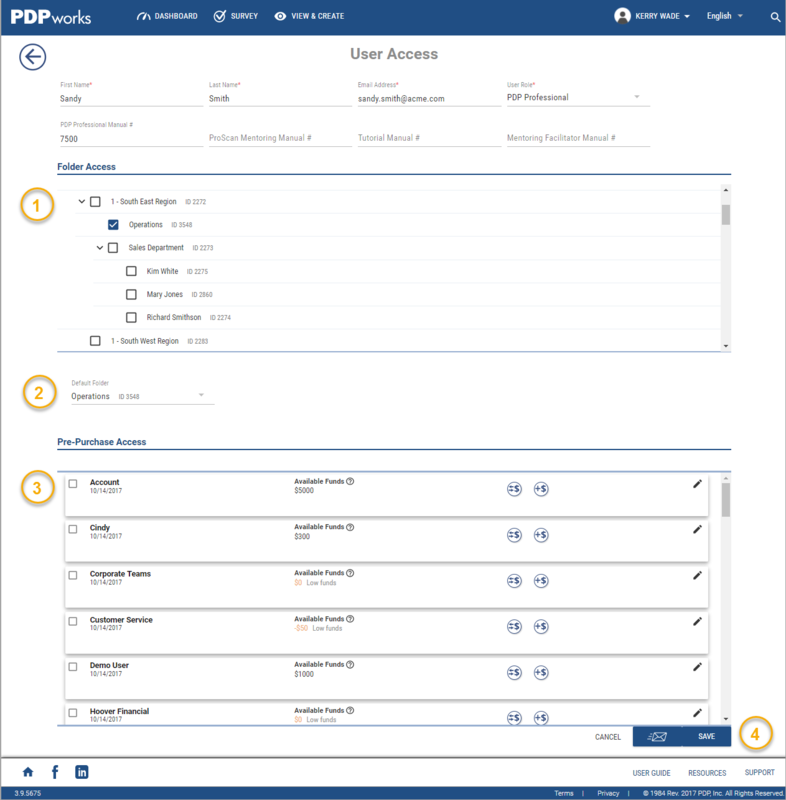 When a new user is trained as a PDP Professional or as a ProScan Mentor, PDP Global will create a new user account for them in PDPworks 4.0. From that point, the Key Contact will need to assign their 1. the folder(s) access, 2. their default folder, and 3. if it is a Gold Account, their pre-purchase account access. After these features are assigned, the Key Contact then 4. clicks to send the welcome email. How is all of this done? Let us show you. In the <Username> menu, look under Manage to click on Users. From there, you can search for and choose the user you wish to edit. 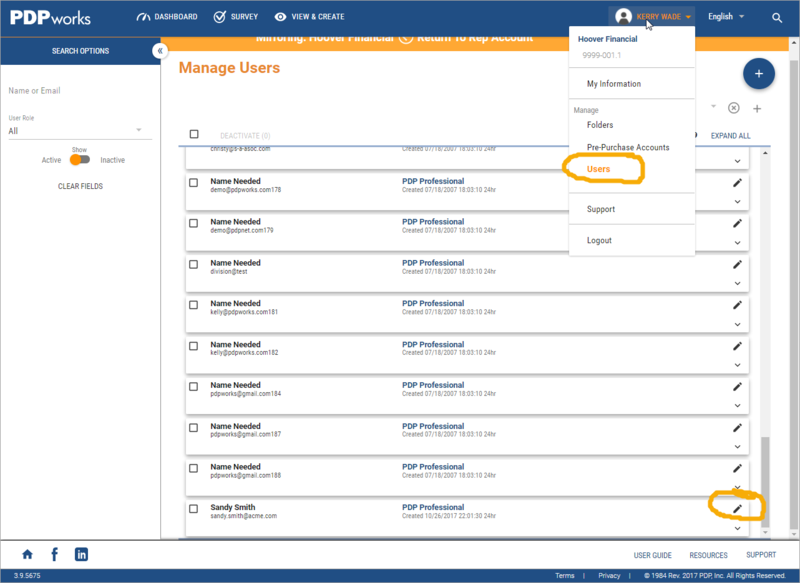 Click on the small pencil icon by the person's name to open the User Access page as shown below. On a side note, other PDP Professionals may also edit these details for new users, but they can only grant access to those resources to which they have access.